Citizens of which countries do not need visa to enter Ukraine? Citizens of other countries must obtain a visa in order to enter Ukraine. Where can I find information about obtaining visa to enter Ukraine? What papers do I need to submit to the embassy for a tourist visa? The list of the documents can vary. The Consulate may require additional documents. We strongly encourage you to contact the Consulate in your country for more detailed information. Citizens holding a passport from a country not included in the list above, will need a visa to enter Ukraine. Visas are issued by Ukrainian Consulates. Obtaining the visa, processing time and costs are an integral part of planning of your trip. Citizens of Turkey may obtain a 14-day Ukrainian visa on their arrival to Odessa, either via seaport or airport. There are several types of visas in Ukraine. The appropriate visa type typically reflects the itinerary of the visiting person. The visa, visa type and the approval is based upon information in the application and supporting documents, either required or requested by the Consulate. What are the most common tyles of visas? Transit visas are issued provided your passport has a valid visa for the next country on your itinerary, or if a visa to that country is not required; then tickets for transportation via Ukraine to the country of your destination are required. 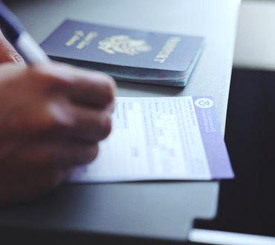 A Transit Visa does not allow travelers to stay in Ukraine; and it is further presumed that transit through Ukraine to the country of destination will not exceed 5 days on single or multiple entry. Transit visas are appropriate when Ukraine is the only transit country in your travel itinerary. Transit visas are not extended. Private visas are intended for home stay visits and they are issued based upon an original invitation from residents of Ukraine in the applicant's name by local "Visas Permits and Passports Department" office (OVIR). Invitations must be original, Consulates do not accept email or fax copies. A Private visa holder is authorized to stay in Ukraine up to 180 days. Private Visas are appropriate if you are going to visit your relatives or acquaintances. Because the original invitation is required, allow sufficient time for it to be mailed from Ukraine and also enough time for the inviting party to navigate the bureaucracy of the OVIR office. Private Visas are extendable, based upon extenuating and/or extraordinary circumstances, e.g. marriage, illness, etc. and are required to be stated by the inviting party in their visa extension request with supporting documents which are to be authorized by a local OVIR. Business visas are for business visits to Ukraine and are issued based upon the invitation of a legal business, registered in Ukraine consistent with Ukrainian regulations. A copy of the State Registration Certificate of this company is required and the majority of Consulates accept fax or scanned copies of these documents. Business visa holders are authorized for a term of up to a year. The exact term of stay is dependant upon the purpose of the visit. For long term stays the supporting documents should be complete and compelling. Long-term business visas may require authorization from and by the Ministry of Foreign Affairs of Ukraine and will need to be processed in Kiev. This process typically takes 7-10 working days. A Business visa is appropriate if you own, work with, work for an officially registered business in Ukraine, and you need to make frequent and/or long-term visits to Ukraine. Business visas can be extended upon request of the inviting party; requests are processed at the local OVIR office. Tourist visas are for visiting Ukraine with the purpose of tourism; tourists are allowed to stay in Ukraine up to 180 days on single or double entry. Tourist visas are issued based upon invitation from travel agency and hotel vouchers confirming hotel(s) reservations. Hotel confirmations are acceptable substitutions for vouchers. Most Consulates accept fax and/or scanned copies of these documents. Tourist visas are extendable. Some Ukrainian Consulates (e.g. in USA) issue tourist visas valid for 6 months, irregardless of the term stated in the application form and visa supporting documents. The Tourist visa is the simplest and the easiest visa to obtain, in terms of the required visa supporting documents and the Consulate processing. Which documents are required to obtain a visa for entering Ukraine? Consular fee and/or Processing Fee. What other information can I obtain in my country Consulate? IMPORTANT: Prior to applying for a visa, call the Consulate to verify whether fax and/or scanned copies of required supporting documents are accepted at your specific Consulate. Typically, fax copies of visa supporting documents for tourist and business visas are accepted by most of the Consulates, however some do require originals, which is the reason for calling to verify. Please note, all Consulates require that the invitation for a Private Visa must be original - copies are not accepted. How much time does it take to obtain a visa? Processing times vary for each visa type and from Consulate to Consulate, even by the time of year. Please, ask your Consulate what's the visa processing time. What fees does the Consulate charge? Fees vary by country and Consulate and visa type. And there can be multiple fees in the case of a Consular Fee and a Processing Fee. Additionally please note that it is very important to pay the fees in full or you run the risk of having to start the application from the very beginning, sometimes requiring the full fee again. Verify if documents are accepted by mail or email. If you live far from the Consulate, the ability to mail documents could be helpful. If documents are accepted by mail, verify how you can obtain an original application. 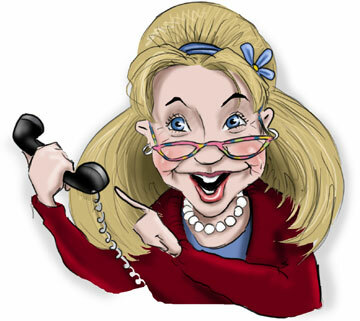 Usually an original can be mailed to you if your provide a pre-paid, self-addressed envelope to the Consulate. On some Consular websites forms are downloadable. This is especially important if you will be visiting the Consulate personally. Additionally most consulates not only observe Ukrainian National Holidays, but also their own National Holidays and it’s an important consideration when planning your application process since you need to consider and incorporate these days into your time frame. In general, the standard time frame for visa processing is 10 working days. The exact term will depend upon the Consulate and visa type. Consular fees vary from $40-$150 USD, depending upon the Consulate and visa type. There can be Consular Fee and/or Processing Fee. Transit visas are typically processed much quicker, usually 1-2 working days. Working days are not the same as calendar days. Consulates work neither Saturdays nor Sundays, celebrate all Ukrainian Holidays and the Holidays of the host country. Since July 1st, 2001, OVIR passport registration is not required for short-term visits (up to 180 days). Business and private visas can be extended in Ukraine at the local OVIR office. Processing times are usually 3-5 working days. The OVIR fee is up to $20 USD. Business visa easier to extend. What Are the Addresses of Embassies of Foreign Countries in Ukraine? How Can I Contact Embassies of Ukraine in Foreign Countries?